The village of Rombo sits high atop of its Tanzanian watershed. In one of the highest parts of Rombo, you’ll find a large farm growing bananas, sugar, cabbage, amongst a variety of other crops. The area surrounding the farm is a deep, lush green. This is Julius’ farm, and it didn’t always look like this. In fact, not long ago, Julius remembered how barren and threatened the farm was. Julius attends a Plant With Purpose Farmer Field School, where he has learned a variety of tactics to make sure his farm remains resilient to diseases. This includes things like crop diversification, the use of natural fertilizers and insect repellents, and the gradual replacement of resource exhaustive trees with healthier species. Julius returned to farming after 30 years away. While Juilus’ farm reflects the skill of an experienced farmer, he actually spent most of his career away from farming. Julius grew up on the family farm, but when it came time for him to pursue his own opportunities, he opted for the city. Such a move isn’t too uncommon for farmers who find that their farms are not producing sufficiently enough for survival. 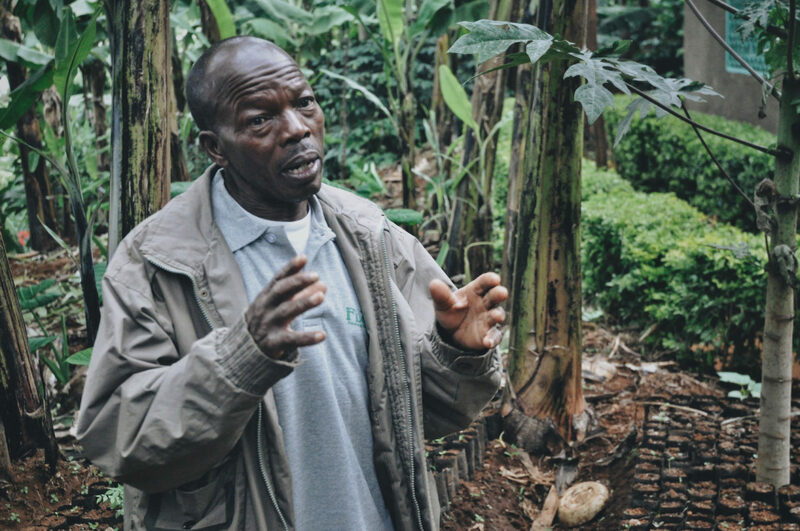 In Julius’ case, he found an opportunity that lasted him decades, but many farmers are less fortunate. Many are sadly caught up in exploitative labor or dangerous activities. When Julius returned to the farm, he brought the work ethic and the penchant for learning that had served him well in Dar Es Salaam. He would also bring one other important tool- a strong sense of purpose. Julius honors his family through farming. To Julius, a family legacy is tied to the health of this farm. When Julius returned to the farm, he knew without question that it was exactly what he was supposed to be doing. Julius began to realize that without him, there would be no one to look after the family farm and it would simply fade away. Julius’ concern for the wellbeing of the family farm reflects one of the biggest truths about sustainability. It allows us to demonstrate love for other generations. In many cases, it’s a way we can show concern for generations to come after us. For Julius, it’s also a way to steward an inherited resource. Whether it’s a family farm or our entire planet, environmental stewardship is an act of humility. It forces us to recognize that we’ve inherited our planet and its natural resources from generations before us, and by God’s grace, we’ll pass it on to those to come after us. Like Julius, we have a role to play in the time being. 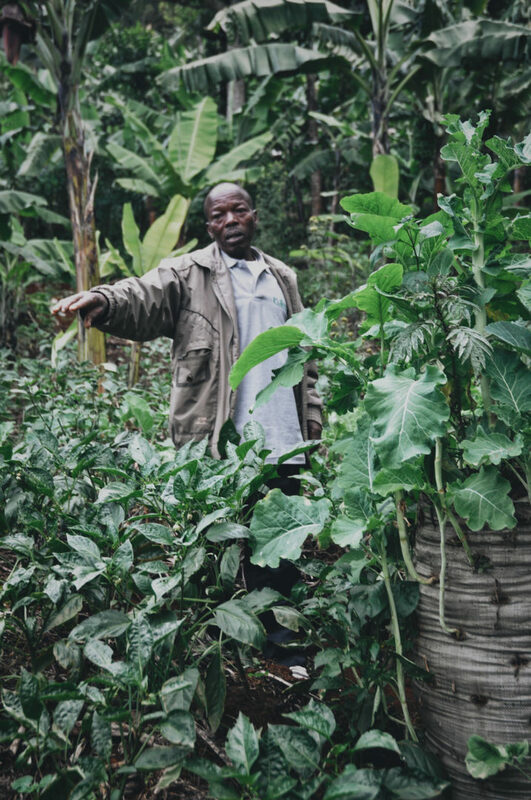 Julius was able to attend a Farmer Field School thanks to the generosity of Plant With Purpose supporters like Purpose Partners! 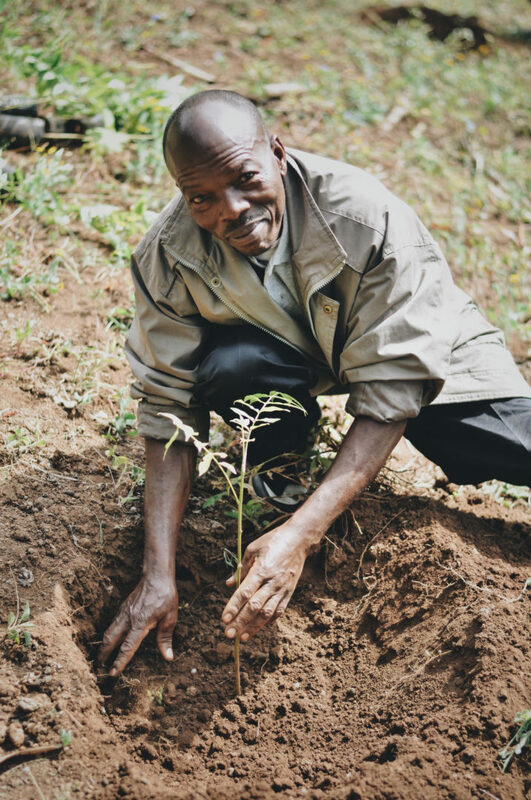 Want to continue to help create lasting change in communities like Rombo? Consider becoming a Purpose Partner.